There's no doubt that genuine games that don't look like anything else on the web will be successful. 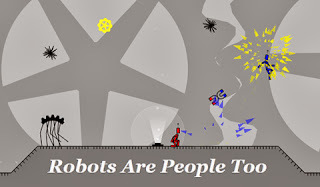 "Robots are People Too" is one of those games; it calls for 2 players that must work together to survive. 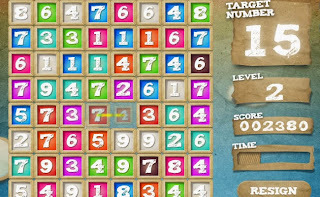 Using HTML5 canvas to make the graphics, this game will certainly exceed your expectations. Rather similar to the first game mentioned, "The Convergence" demands a lot of coordination. The single-player game focuses on two main characters (of which the player is responsible for) that move in opposite directions; the idea is to try to bring them together by moving them around in flurry of general love and hearts. "The Convergence" uses HTML5 for its graphics and it surely deserve your attention. When the latest version of Firefox was released a year ago, Runfield was developed to showcase some of the main aptitudes of the browser. The game is simple to play and extremely addictive. All you have to do is run as fast as you can, but make sure to avoid the holes. The code was created by Ilmari Heikkinen and the graphics are truly beautiful. For the graphics we have HTML5 once again. 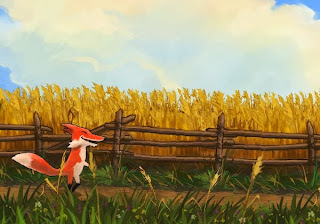 Fieldrunners is an iOS game that's only operable on Chrome. 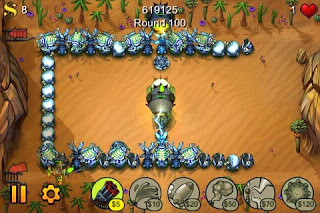 The game is part of the tower defense category where the player has to strategically position emplacements in order to defend himself from inward hordes. For faster 2D graphics, "Fieldrunners" uses WebGL. The HTML5 version of Bejeweled is an excellent example of a successful video game on a proprietary platform that's being docked to the web. The subtle effects an overall gameplay are smooth and eye-catching for players fascinated by this sort of puzzles. 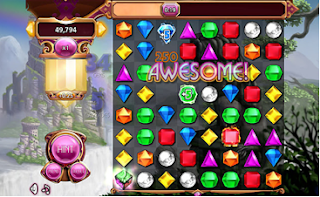 The interface and visuals are additionally ground-breaking and you can immediately tell that "Bejeweled" was developed by a famous game studio (PopCap). For faster 2D graphics, the game uses WebGL. Rather simple yet extremely creative in its essence, "Canvas Rider" is all about controlling a stickman on a bike. Riding without falling seems easy but you'll soon realize there's more to the game than meets the eye. The levels are designed by the players, so if you have any bright ideas you can always come up with your very own level. There's no doubt that HTML5 games are winning ground, and that's probably because they're different from most games available in the market today. With the aptitude to link gamepad controllers and permit HTML elements run in full screen, web games are being able to offer immersive experiences to avid gamers looking to try out something different. The article is being authored by an avid gamer and freelance writer Jason Phillips. He owns a range of online gaming site including Train Games 365. It is a place where you can play a range of train games that you love. I am familiar with Bejeweled and I really find it amusing, a perfect game to kill time, too!